Whether a newbie or veteran runner, there's one commonality: to improve race time. Reebok/Zap Fitness Running Center teaches runners, ages 18 to 80, many new running techniques that can help them improve their trainings and shave time off their race-day pace. To become a strong and efficient runner, no matter your fitness level, add these three key techniques to your workout plan. A pacer is a runner who can maintain a steady tempo from the beginning of an effort to its conclusion. They feel comfortable being the runner who dictates the rhythm for a group of runners. Pacers also have an excellent kinesthetic feel for that critical 88 to 94 percent of max heart rate zone, which falls within most runners' effort zone for 5Ks to half marathons. Becoming a pacer requires a lot of patience. Learning what effort can be maintained over longer runs requires a runner to start efforts more slowly and move forward. These negative split runs, starting gently and increasing your tempo throughout the course of a run, will give you a good idea of where your fitness lies and where to begin runs as you get fitter. Every 10 to 14 days do a run between 7 to 12 miles. 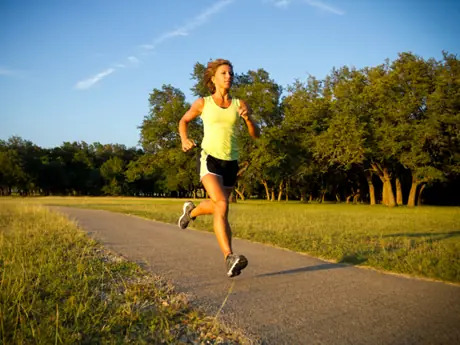 Begin the run approximately 55 to 65 seconds per mile slower than your current 10K race fitness and conclude the run over the last 1.5 miles 5 to 15 seconds slower than your 10K race pace. Check your tempo every mile to get a feel for both your effort as well as your rhythm. Over time you will become the runner who can effectively gauge and implement any tempo within your capabilities.